GLORY 59 was held this past Saturday (September 29) in Amsterdam. The event took place at Johan Cruijff Arena featuring a series of kickboxing bouts, with two titles contested on the top of the bill. 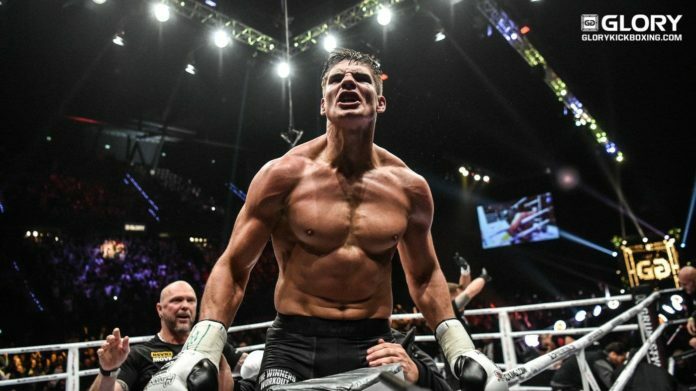 In the main event local favorite Rico Verhoeven faced Brazilian Guto Inocente, making the eighth defense of his heavyweight title. The scheduled for five rounds championship bout went the distance. The contest ended in favor of the representative of the country host, who retained his belt scoring a unanimous decision. In the co-main event the defending featherweight champion Dutch Robin van Roosmalen faced the interim titleholder Thai Petchpanomrung Kiatmookao. The pair battled out in the championship unification. A unanimous decision went in favor of the latter, who became a new undisputed champion in the division. Also on the main card heavyweight Jamal Ben Saddik scored three knockdowns in the first round against D’Angelo Marshall, consequently earning a TKO win. In addition, Tyjani Beztati took a split decision against Christian Baya at lightweight. The complete GLORY 59 results can be found below.